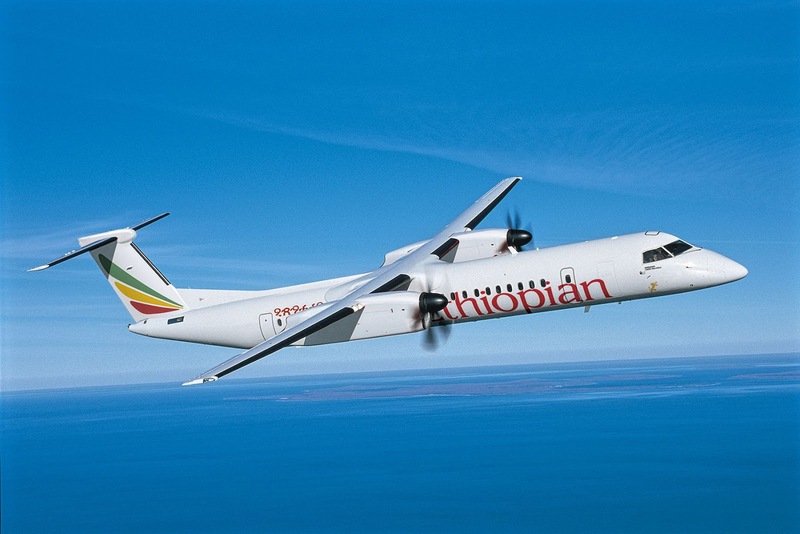 Ethiopian Buys 10 Bombardier Q400s. Ethiopian Airlines has placed a firm order for 10 Q400 bombers, further increasing Bombardier's order book and signaling continued interest in the turboprop by Africa's largest Q400 operator. The agreement, which includes the rights for Ethiopia to buy five additional Q400s, requires deliveries to begin in the second quarter of 2019, says Bombardier. The deal has a value in list prices of USD 332 million, says Bombardier in a press release. The sale raises the number of outstanding orders of Bombardier Q400 to 58, compared to only 23 aircraft a year ago. That growth reflects several great Q400 deals. Conair, a firefighting company, ordered six Q400 in January and, last September, the Indian company SpiceJet placed firm orders for 25 Q400 and took options in another 25. In June 2017, Philippine Airlines converted the options for seven Q400 into firm orders and Ethiopian ordered five Q400. Ethiopia has now ordered the turboprops five times, says Bombardier. The airline based in Addis Ababa operates 17 Q400s and Boeing Series. Bombardier says the recent interest in the Q400 reflects the aircraft's ability to help airlines strengthen centers by feeding large aircraft.